The Florida biofuel company INEOS Bio has successfully turned municipal solid waste into ethanol, marking a major milestone for the future of fossil fuel production. The biofuel company on Wednesday announced its landmark achievement. 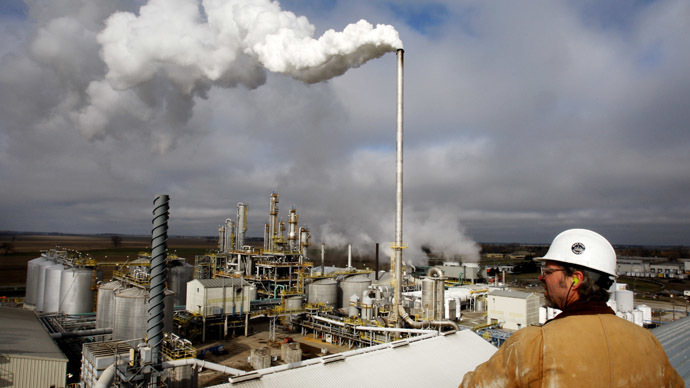 The facility is the first large-scale biorefinery to successfully turn trash into ethanol, using technology that relies on biological and thermochemical processes. Once the Indian River BioEnergy Center in Vero Beach, Fla., which was jointly built by INEOS and its venture partner NPE Florida, begins its operations, the company says it will be able to produce eight million US gallons of advanced biofuels each year from municipal waste. That means lawn clippings, woody biomass, and vegetative and yard waste could be used to make bioethanol, which would serve as an alternative to fossil fuels. Citrus, oak, pine and pallet wood waste can also be turned into renewable energy. The company reports that its first bioethanol shipments will be released in August, and that the Indian River BioEnergy Center is producing commercial quantities of transportation fuel and exporting renewable power. Williams said that the company will spend the rest of the year getting the plant up to speed to produce the promised amounts of ethanol. Building the facility cost more than $130 million and created more than 400 jobs. Although INEOS acquired the technology to turn trash into treasure about five years ago, it has been under development for two decades, INEOS Vice President Dan Cummings announced. The company plans to build a second plant, construct new facilities and license its technology to companies from around the world. Many oil-dependent countries have searched for viable alternatives to petrol for years, and commercialization of waste-turned-bioethanol could have a major impact on fossil fuel production.